Discussion in 'iPhone' started by Bako-MacAddict, Oct 21, 2013. What do you guys think ? I personally like my white&gold better. Looks clean. I like white better though. 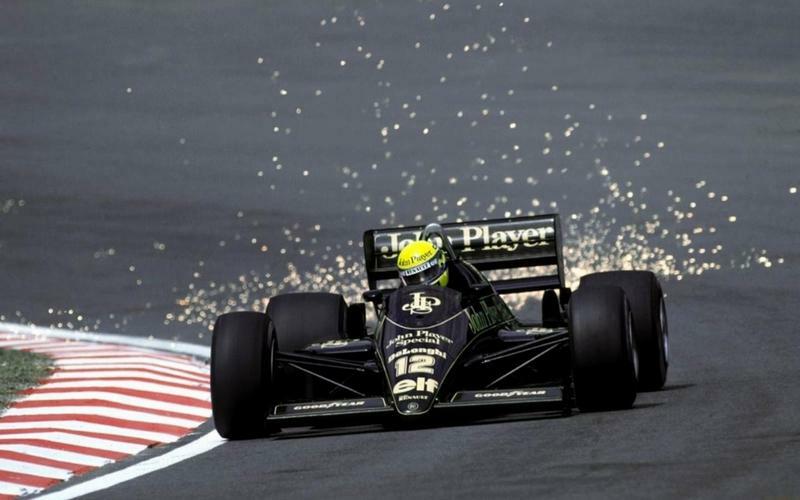 Add Senna wallpaper and it'll be awesome. I actually like it a lot. Would definitely get that if it was available. If that was a real combo I would have gotten it. I'm rocking a silver 5S. The touch id ring is not gold and the actual gold color seems off though, maybe they just sprayed painted it gold. Good thing apple didn't release this color combo. Thanks for posting this. I have the gold and I assumed that it would look much classier in black. It actually looks like crap. I hate it. Looks much better with white. Who knew? I'd prefer Steve Spray on the JPS Norton. Are there any other pictures? Some talented forum member created a render on another similar thread to this and it looked much better. I was just wondering when someone would do this. Passing glance it looks good, but looking closely I notice the bands on the sides don't match and the touch ID ring isnt gold. Ultimately, feasible but not worth it. On a side note, I wonder if AnoStyle is going to refresh their color palette? Cool idea, not that I could afford it, but many of their colors were too bright. I'd like to see a black screen paired with a dark dusky purple. Their purple looks like grape drank. It would look way better with a gold ring and black lines on the sides instead of the white that it has. I think it's looks off because all the black will make the gold look darker, like the white iPhone makes the gold look lighter. Yuck. Glad Apple went with white and gold. I guess they tried this already and thought the same thing a lot of us are thinking. I have a gold 5S and I've liked the way it looked since I first saw one. I thought I would like a black/gold combo also but this doesn't look to great to me. Even ignoring the white antenna bands and lack of gold ring, something is off. It's like it's clashing or something. Could be the lighting but just doesn't look like something I'd want. Wow. The white and gold now looks so much better. There's no such thing as genuine Apple parts on eBay. Unless they've been stolen or something. 99.99% chance that they are not genuine. Yeah, pretty sure they tried this and lots of other combos. Even companies less meticulous than Apple do a lot of testing of colours and materials under all kinds of lighting conditions. Mind you it doesn't mean there isn't a black/gold combo that would look good - just not the shades Apple used on its other iPhones. I don't like any of the gold ones but this one is even worse. Looks green in those pics though. white bal in those pics looks off. Gives the gold a green cast. I bet it looks better with a properly processed photo. Silver + Black front would be nice in my opinion! Kinda like the original iPhone was.